1) On the #NoCollusion findings of Mueller's report. It's worth recognizing that this is more than an exoneration. It's a searing indictment of the FBI. 2) If you are going to investigate a presidential campaign, and on a charge as grave as collusion, and with the heavy-handed tactics the FBI employed--you'd better have a highly convincing reason to act. The Mueller report is a judgment that never was any real evidence. 3) The Papadopoulos conversation was always thin gruel. And the Mueller findings now prove the dossier was a fabrication. The country now deserves a full accounting of how the FBI blew this so badly--so that it doesn't happen again. I’m glad Mueller made it official that Trump didn’t do all the stuff Clinton actually did. The Trump dossier was a Democrat-funded opposition research operation that the FBI reportedly used as the key piece of evidence to secure a FISA spy warrant against former campaign foreign policy adviser Carter Page. Even then, there were serious questions about its validity. The vast majority of it was unverified. 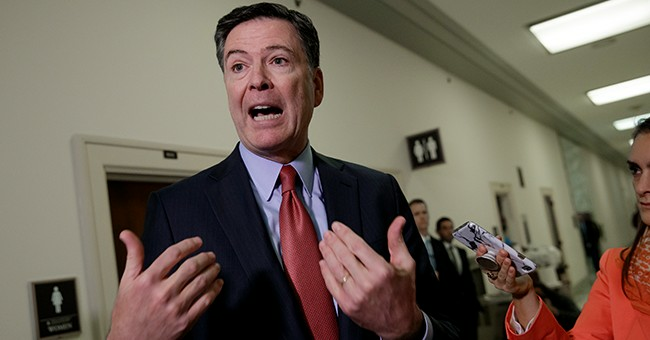 And disgraced fired FBI agent Peter Strzok, who was a top counterintelligence agent who signed off on the investigation that was eventually taken over by Special Counsel Mueller upon James Comey’s firing from the FBI in May of 2017, might have suggested in texts to former bureau lawyer Lisa Page, with whom he was having an extramarital affair, that this dossier might be the so-called insurance policy against a Trump presidency. The two shared tens of thousands of anti-Trump texts throughout the 2016 election; Strzok was also a key player in the Hillary Clinton email probe. So, with these antics and the DOJ pretty much discussing a coup concerning the 25thAmendment—you can see that a lot of cleanups has to be done at the DOJ/FBI. We should revisit this part in the future though. Another question: who was involved in the reported kill order concerning nixing bringing charges against Hillary Clinton for mishandling classified information that was sent through her unsecured and unauthorized server when she was secretary of state? Who at Obama DOJ was involved in that decision-making process, whose orders were then transmitted to the FBI? There will be criticisms of this Mueller report for sure...on both sides. For now, we should all take a victory lap, as it has torched the liberal media's world and that of Democratic Party America, setting up for a deluge of progressive tears.